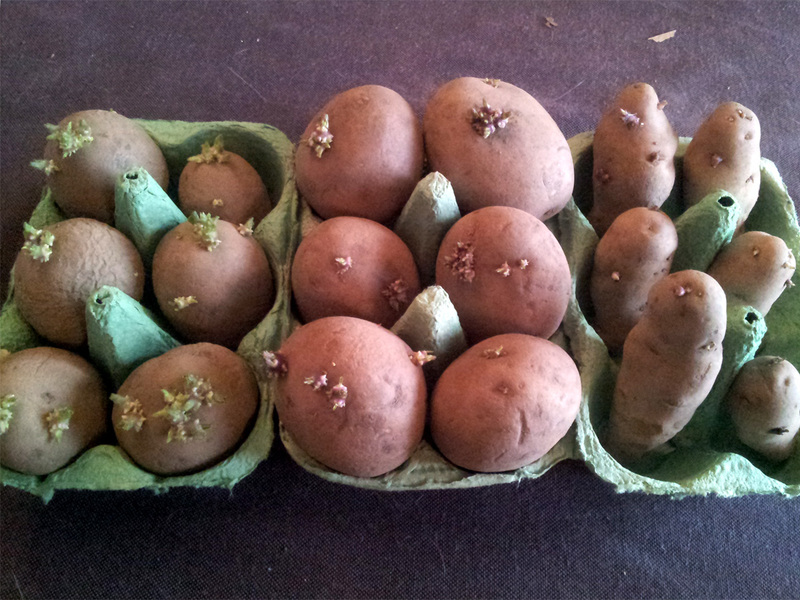 A couple of weeks ago I took delivery of this year’s seed spuds from our allotment shop. 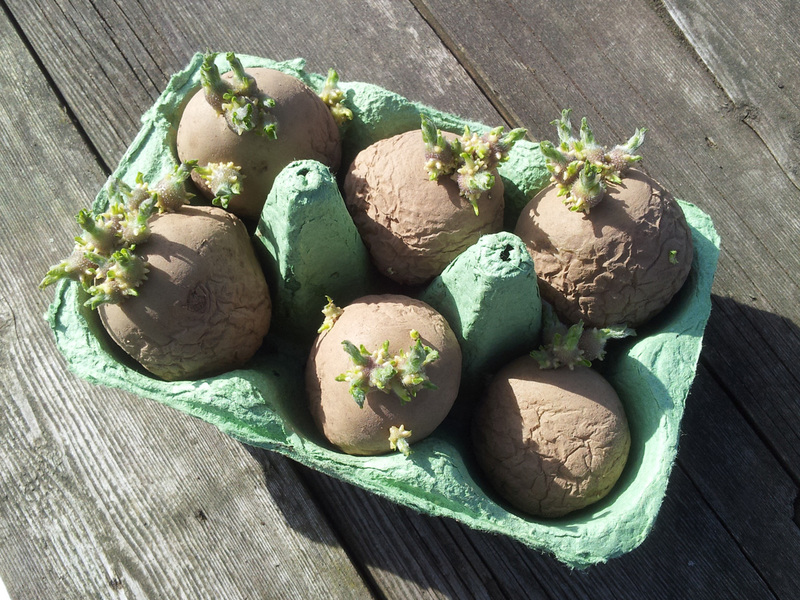 Now, I know it’s perfectly possible to grow new spud plants from supermarket spuds, or even from spud peelings, as long as there’s a decent eye, but I do prefer to stick my hand in my pocket and buy seed tubers instead. It gives the developing stems a head-start, allowing them to establish a focus for ongoing growth (in botanical terms, a meristematic zone of cell development) which means they’ll be shoving their way up and out of the soil much sooner than if left to their own devices. 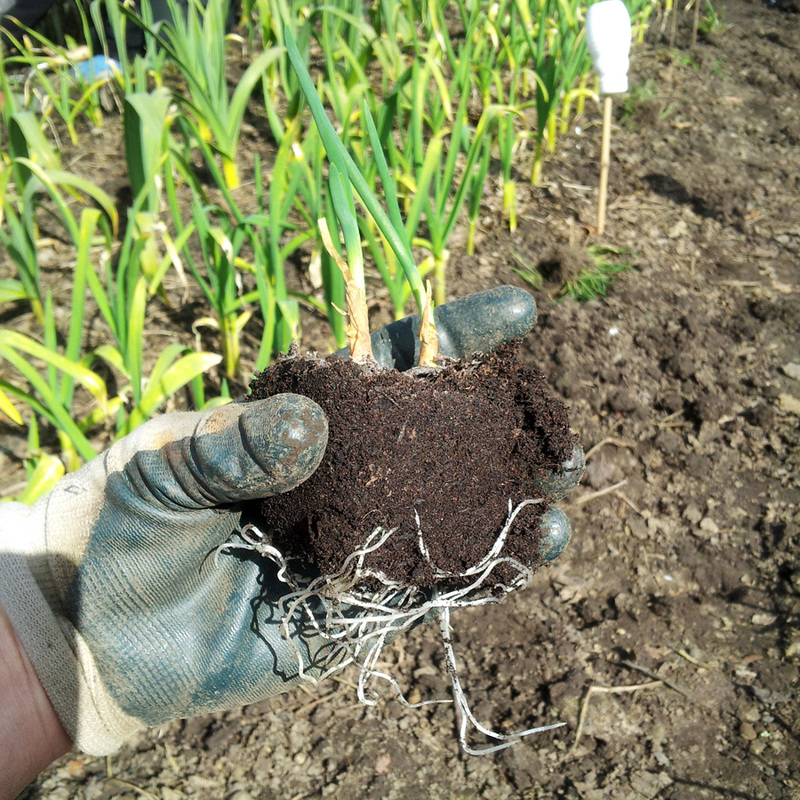 Which is important, because the plant needs to be putting leaves up into the light, to enable it to start getting its energy from photosynthesis before the stored starches in the seed tuber run out and the plant loses vigour. It allows you to control how many growing stems are left to develop, by removing all but the strongest chits before you plant. 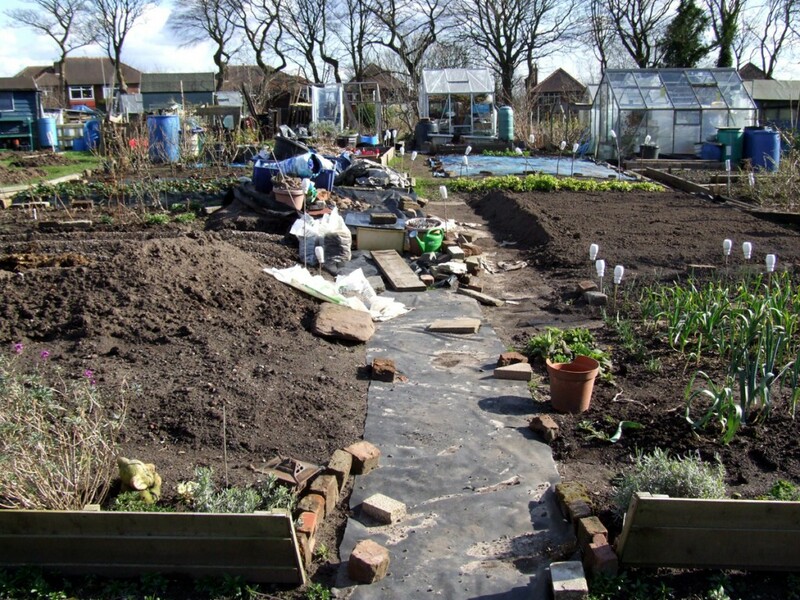 Two or three are generally ideal, again ensuring that those growing stems have the best chance of breaking the surface and putting out leaves in good time. Too many developing stems all competing for those stored starches – which is what will happen if you leave a tuber to its own devices and every eye on the spud puts out a new shoot – could mean the plant may run out of steam before it breaks leaf above ground and is able to photosynthesise effectively. On a personal level, I find chitting provides a psychological boost at the dullest time of the year. It means you’re doing something to get the growing season under-way, and something is growing, even if it’s just a few chits for now. It's chitting time! Or is it? 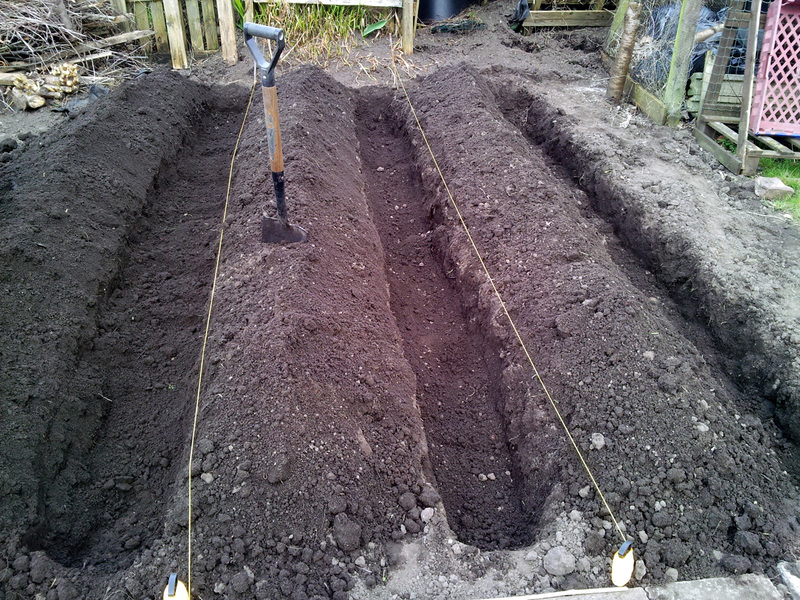 What's your view – to chit, or not to chit your #potatoes before planting? So there you go, my take on why chitting is a good idea. If you’re not chitting this year, start saving your egg-boxes for next year and give it a go, see if it makes a difference.